Professional Mattress Cleaning in New Zealand with Royale Eco Cleaning Ltd.
4-th step – 120-psi high-pressure steam extraction cleaning with the use of professional upholstery cleaning machine. 5-th step – Deodorise Sanitise Treatment. If you have bed bugs they will have to be treated. Most of these infestations happen in private homes, hotels and college dorms. 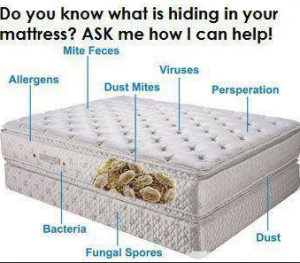 Furthermore, mattresses could have other pests that can be dangerous to your health. Pests, such as the common house dust mite, are often found deep in the springs of mattresses. These existences easily flourish in any environment where people live. They eat dead skin that floats off our bodies and thrive in such environment. Our Three Step Royale Eco Cleaning service allows achieving the complete elimination of all kinds of health harmful insects. After we finish our professional mattress cleaning Royale Eco Cleaning ltd, you will sleep easy and safely because your mattress will be absolutely clean, sterilized and deodorized in the most eco-friendly way. Trust professionals and your life will we better.